Jeb tweeted a new image recently, indicating some significant changes to the inventory - stats, possible bottles for potions and more! An earlier tweet seemed to support the potion theory, with a mention of a possible blindness potion. 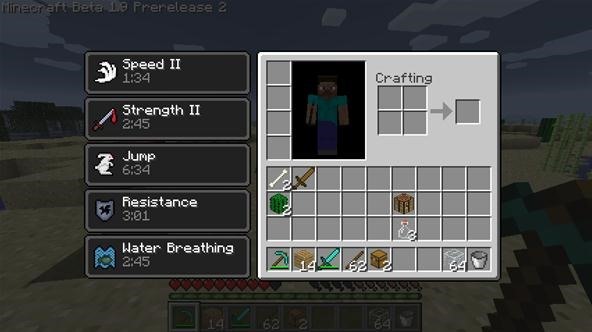 He seemed to indicate that the inventory/stat changes would not take effect in 1.9, however.